Deciding to turn Shakespeare's plays into modern-day YA novels was a "Eureka" moment for us if ever there was one. 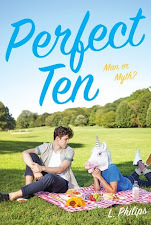 As former English majors, we couldn't think of anything more exciting and interesting than putting a 21st century spin on his classic plots and characters. But after first tackling his darkest play, "Macbeth," we knew we needed to mix it up with something a little lighter, lest we start sleepwalking and seeing imaginary daggers! We figured "The Tempest" would provide just the sort of change-up we needed, but how to re-interpret the play's remote island setting and the storm that sets all the action in motion? During one agonizing and intense brainstorm session that seemed to be leading nowhere, we toyed with the possibility of setting our novel on an actual island during hurricane season (Spring Break, perhaps? ), but that translation was just too literal. Then we started thinking about winter snowstorms and where people could potentially get stranded, and the pieces instantly fell into place. Making a Midwestern shopping mall our "island," so to speak, was the perfect solution. Both of us were all-too familiar with minimum wage mall jobs, and the idea of being stuck overnight in such a location was a veritable goldmine for comedy and drama. The setting suddenly became a no-brainer. Prospero, the sorcerer and deposed king in The Tempest, is transformed by events of his own creation. That's the idea that drove our plot. We decided to make our heroine, Miranda Prospero, a combination of Prospero and his daughter, Miranda. We're both fans of the '80s classic movie Ferris Bueller's Day Off, and we loved the idea of making Miranda a sort of female Ferris, someone who loves manipulating people but still has good intentions. Jane Austen's Emma was also an inspiration for our heroine. We fairly quickly developed ideas for how we would create our own unique characters based on Shakespeare's Caliban and Ariel. Intrigued? 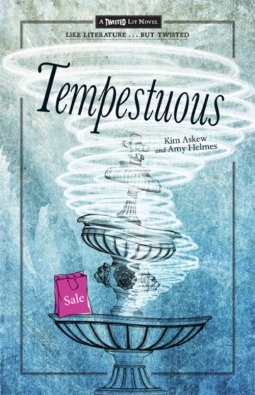 Then we humbly suggest you pick up a copy of Tempestuous to find out how the rest plays out! I've never read Shakespeare's The Tempest, so I can't speak to specific similarities, but I can definitely attest to the fact that this book such a fun read! Who hasn't thought about being trapped in a mall overnight with free reign and all of your friends? I can honestly say that would have been a dream come true when I was a teenager, as long as there wasn't also a violent robber trapped in the mall with us. Miranda is a girl recently exiled from popularity and not very happy about it. When we first meet her she is bitter and not pleased with the situation she currently finds herself in. She's made some new friends working in the food court of the mall, but we get the impression that she doesn't really think of them as anything other than "work" friends. The story only takes place over the course of one night, but we get to see a good bit of growth in Miranda over that night. She starts to see how special her coworkers are and that they really are the ones worth her time. This mismatched crew spends the evening hanging out, partying it up, pranking the popular kids, and solving the mystery of the robber. Kim Askew, co-author of Tempestuous: A Twisted Lit Novel, whose work has appeared in Elle and other magazines, is a content manager for the Webby-winning teen sitewww.FashionClub.com, for which she has covered the Teen Choice and MTV awards. Follow Kim on Twitter @kaskew. Amy Helmes, co-author of Tempestuous: A Twisted Lit Novel, is co-author of Boys of a Feather: A Field Guide to American Males and is also a weekly contributor to The Rundown,a free daily e-mail service that keeps subscribers informed on what's new and cool in LA. Follow Amy on Twitter @amyhelmes. 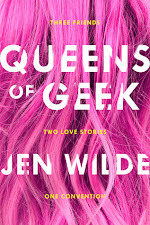 Both Kim and Amy think Shakespeare understood the young's true love and pain like no other, from Hamlet's sorry stepdad to Juliet's trauma drama, hence this literate farce, based on "The Tempest."